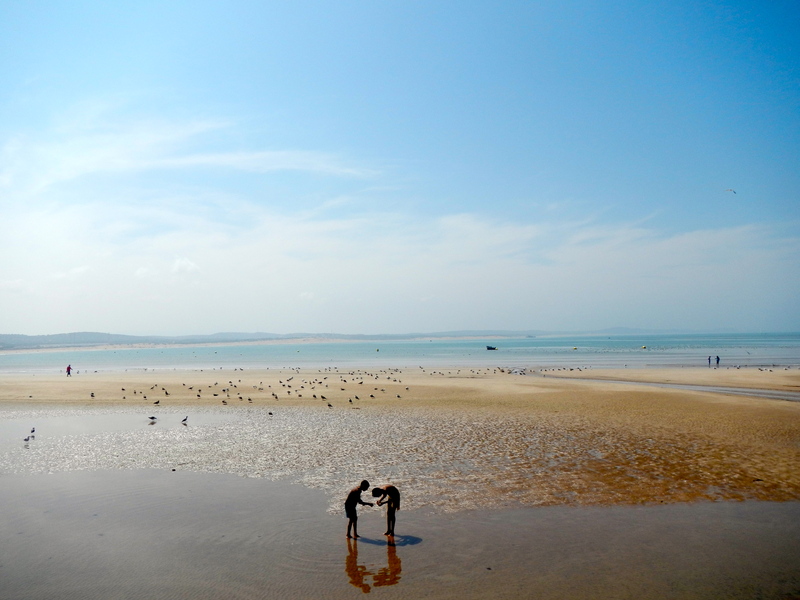 Essaouira is a costal gem and I highly recommend it to anyone traveling through Morocco. It’s not as affordable as the rural areas but it’s worth a small indulgence. This town has shifted possession many times through history and as Anthony Bourdain has established, this has positive side effects for anyone who likes food. Here, a clash of old and new, west and ancient, middle eastern and contemporary combine in a lovely tapestry of art, cuisine, and culture. When we arrive we take a Petit Taxi to the western entry of the old medina. We step through the old stone arch and head toward our hotel. We’ve decided to spend a little extra so that we’re close to everything (about $70 USD a night). My sister and I have been relying on TripAdvisor for a lot of our planning and as long as you put the time in it seems to be the best on-the-ground resource available. Kinds playing on the beach. This city has very ancient roots. 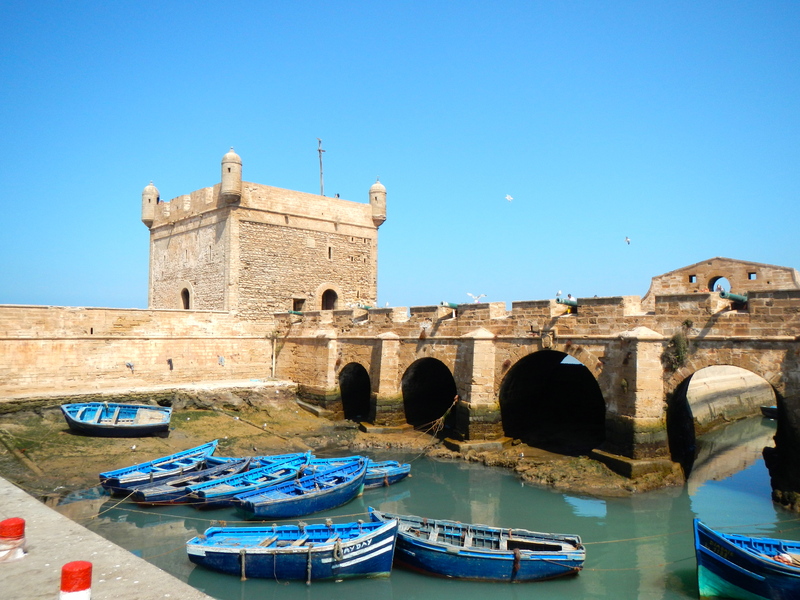 The Carthaginians used it as a port of call in the 5th century BC. In its current form the city fortresses which still stand were designed by the French engineer Théodore Cornut. 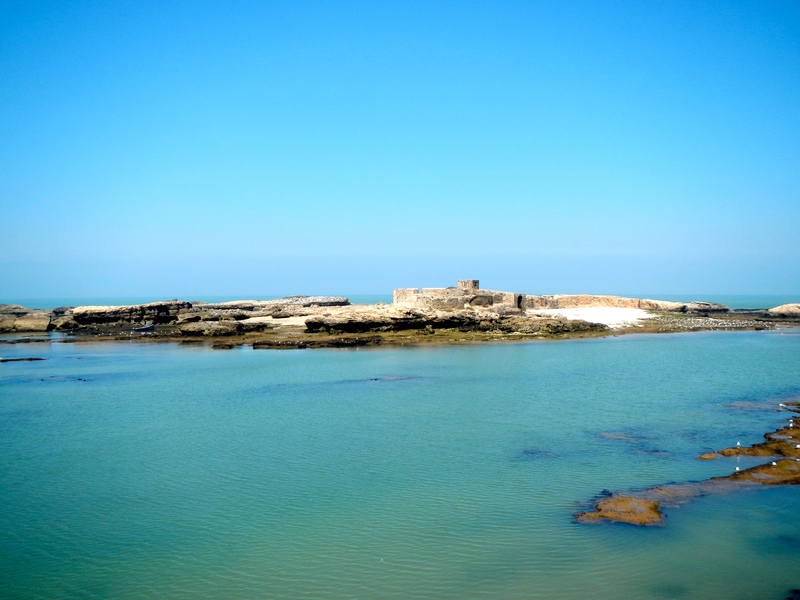 To the South West of the city walls is a huge yellow sand beach that wraps around the coast. It can be very windy here depending on the time of year and there are as many seagulls as people. 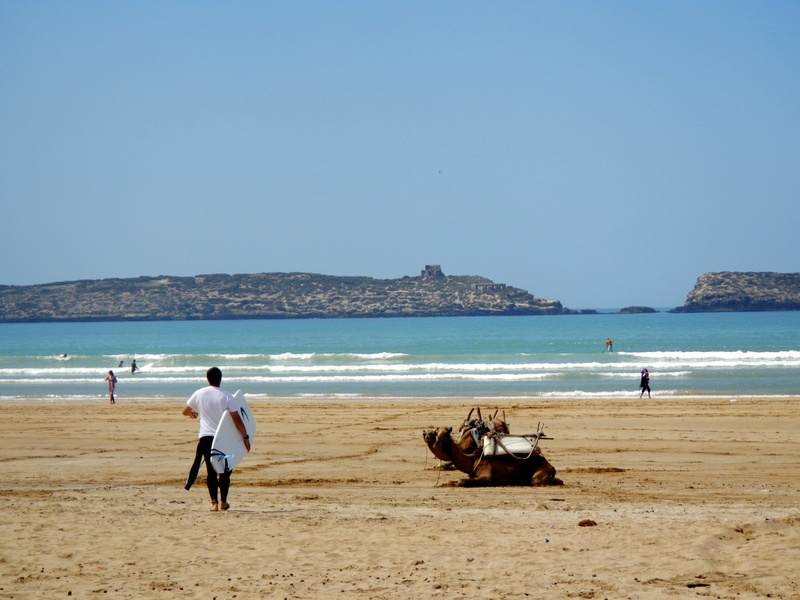 Essaouira is famous for kiteboarding, surfing, and busy marketplace in the center of town. Something feels disturbingly good about surfing within sight of camels on the beach. We enjoyed some amazing food and highly recommend Elizir for a special meal.